Ao Vong Duan is the second longest beach on Koh Samet and is around 500 meters long,the beach is half moon shaped beach with by far the best sunrise on this island. The sand is as inviting as on Hat Sai Kaew and the atmosphere here is really pleasant. Here tourists arrives in both the high and low season, to enjoy the beautiful beach. Along the beach you find many different restaurants ranging from reasonable to first class all specialising in seafood. These restaurants also have a very nice view over the ocean. The only beach on the west coast of Samet is a real beauty and a few elegant hotels are located here. The beach is about 200 meters long and very pleasant. Since the number of tourists here are still finite, Ao Prao is a world-class destination. The sunset from Ao Prao is on a clear night a memory that will probably last a lifetime. Boats arrives here frequently, from Ban Phe on the mainland. 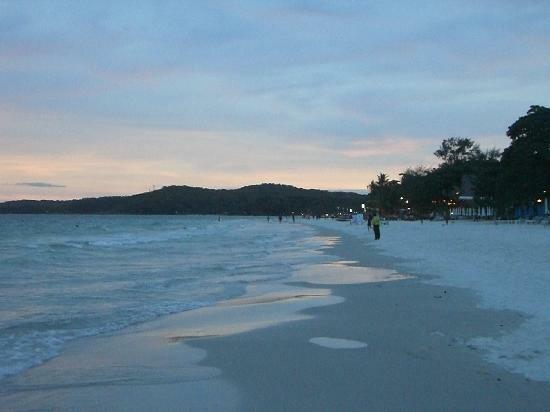 They are all nice small beaches that all have the white characteristic of Samet sand. The distances between the beaches are not far, so you can easily take a walk or a ride with a bike. The further south you go on this island the less tourists you will find in general.